Equipped with bright LED HOT TOP icon that lights up when top plate is over 60°C, even when heat control is turned off. 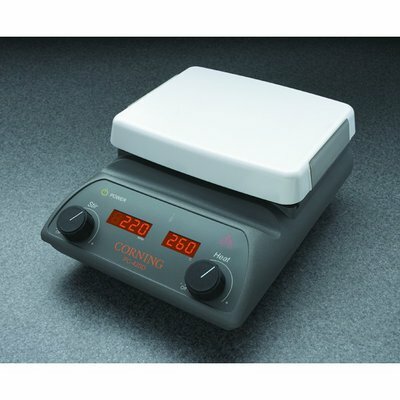 Corning™ PC-420D Stirring Hot Plate with Digital Display provides a safe and efficient device for laboratory heating needs. The two piece casting design deflects spills away from electronics.